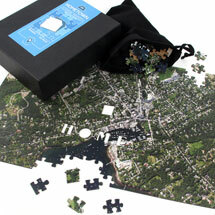 A jigsaw puzzle of a map, centered on your home. 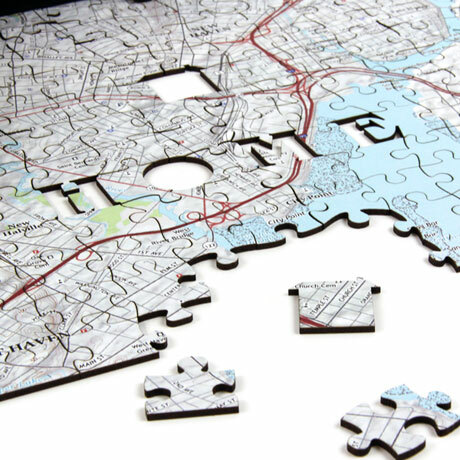 Made to order from the most up-to-date United States Geological Survey maps available, each features 15 special "whimsy" pieces that spell "Home Sweet Home" across the puzzle. 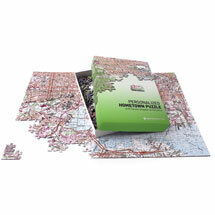 Map Puzzle covers an area of 4 miles north-to-south and 6 miles east-to-west, showing main roads, buildings, contour lines, some street names and more. 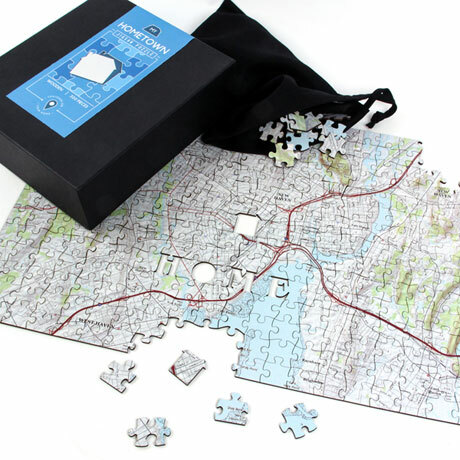 Arrives in a velvet bag with a deluxe presentation/storage box. U.S.A. addresses only. Each is 300 pieces, finished size 18" x 12". 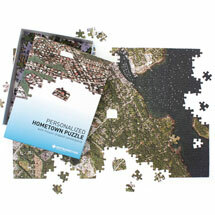 Specify full postal address including street number and name, city, state, and ZIP code. Presented in a clamshell box for perfect storage. Allow 3 weeks. No rush delivery or gift box.